Hello there and thank you for joining me again today for our next instalment of the Project Share Project, when I get the chance to showcase the amazing work of some of my fellow Stampin' Up! demos. First up today is this lovely card from Helzie at SlimmandStylish. 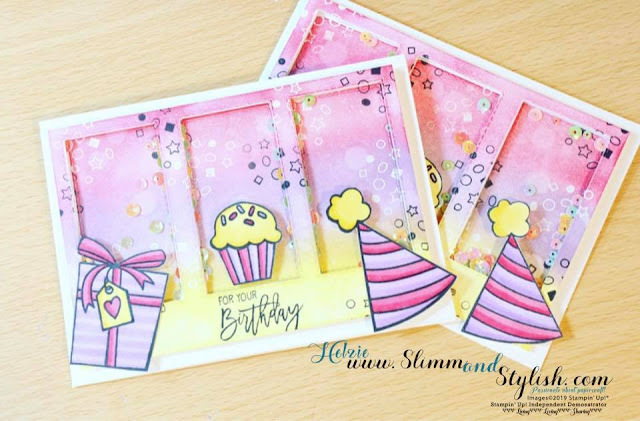 Helzie has made this fun shaker birthday card using the Birthday Cheer stamp set. She has also recorded a video and made a bit of an error which she has left in - have a watch and a giggle with her at around the 8 min mark! Read more about this card and watch Helzie's video tutorial over on her blog HERE. 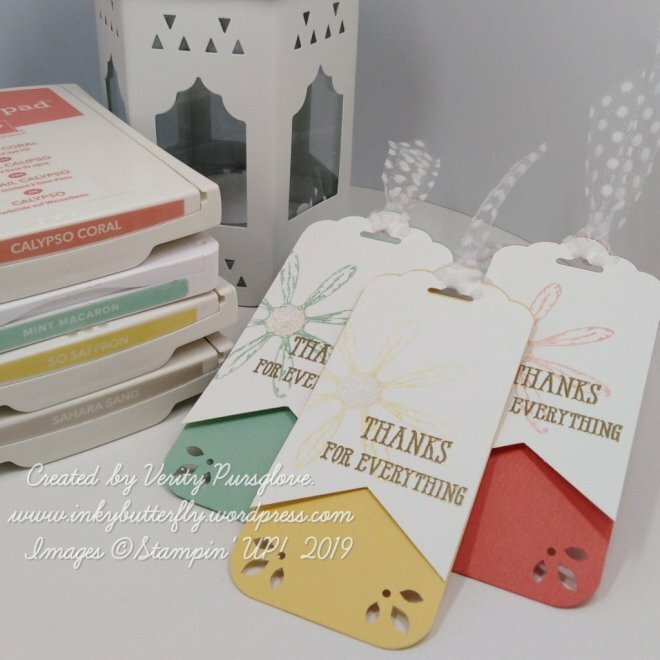 Next today is Verity of InkyButterfly, who has made these lovely gift tags using the Daisy Delight stamp set and a couple of punches. So simple but effective. I love them! Pop over to Verity's blog HERE to read more. Last today is Heather, who blogs at Stamp with Nellie, with this gorgeous litle box to house a scented Yankee candle. I love the colours that Heather has used here - So Saffron and Night of Navy. Do pop over to her blog and read more HERE. And that's another Project Share Project done and dusted. And if any of those projects have inspired you to do some crafty shopping, don't forget that now is a great time to do so - spend £45 and choose from a whole load of products absolutely FREE - see them all on my post HERE.